The home web site of our denomination. 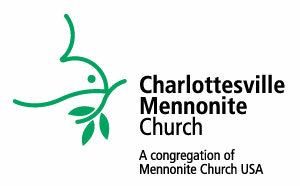 Lots of good resources and information about Mennonites. A good FAQ on Mennonites with links to other information about our beliefs. The online source of the 24 articles of our faith, complete with commentary and Scripture passages. MCC is relief, development and peace function of the Mennonite Church. Excellent opportunities for service to be found as well information on what Mennonites are up to around the world. A great resource to learn more about Mennonites in an easy to read format. You can also access some of the radio programs associated with families and issues of reconcilation here as well! Another service arm of the Mennonite church--opportunities to help rebuild homes after disasters. MDS has helped with the rebuilding of many major disasters since 1950. An excellent resource for books and other media on a variety of subjects, by Mennonites. A blog by MennoMedia on a variety of issues including information on new books and media coming up. The three talks by Alan and Eleanor Kreider in the Augsburger Lectures at this link. Alan and Eleanor spent 25 plus years working in England with post christendom Christian communities. An excellent lecture on Bonhoeffer by Eastern Mennonite Seminary professor of theology, Mark Thiessen Nation. A great independent source of information and resources on Mennonites as well as forums! An independent ministry of Christian journalism serving Mennonites and the Global Anabaptist movement. Interesting news articles, editorials and reader comments. Bruxy Cavey of The Meeting House spoke at Woodland Hills Church in St. Paul, MN. His sermon focused on Anabaptists and their view of the separation of church and state.